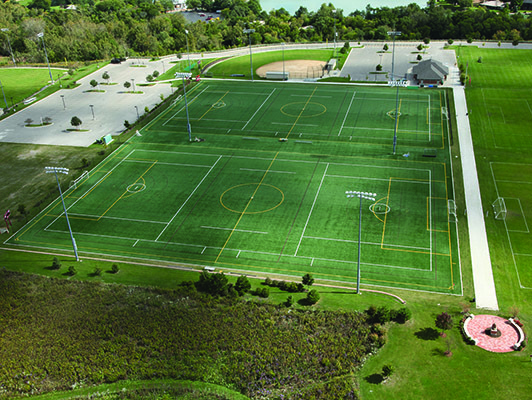 Tough turf that stands up to tough play and is the closest thing to a well-maintained natural grass field. 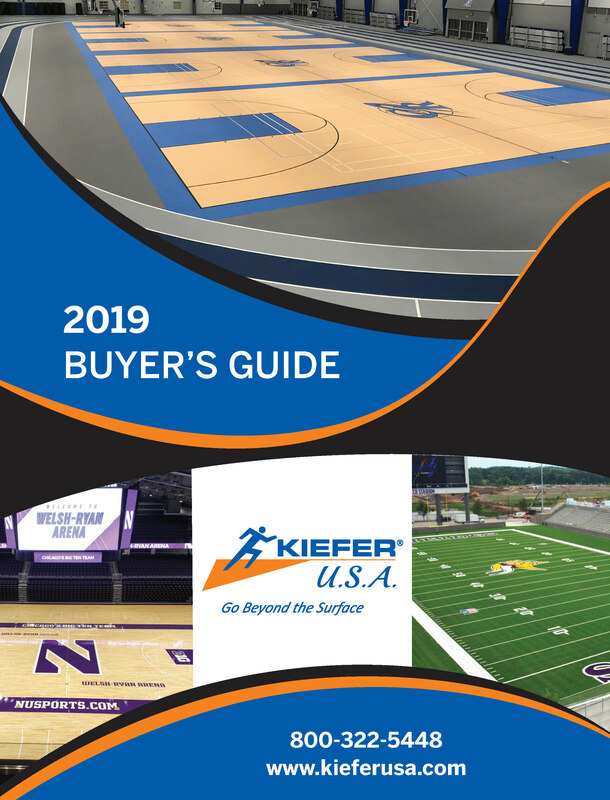 Kiefer USA are experts at the design and installation of football field turf. 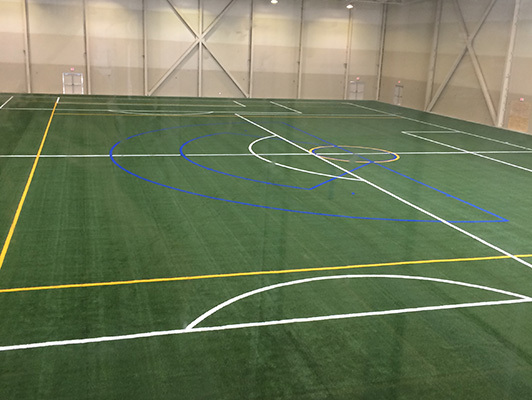 Artificial football turf has become a safe, economical, durable, and popular choice for forward-thinking football organizations. 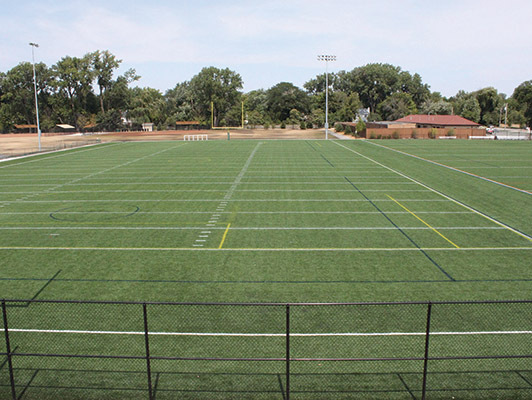 An artificial football field will not only look good, it will perform and be just as safe as a natural grass field without the added maintenance costs. Football requires a playing field that offers an excellent biomechanical response prioritizing player-surface interaction. By following requirements set by the regulations, it is essential to obtain optimum shock absorption that minimizes the risk of injury, particularly impacts to the head, and good vertical deformation or stability. Therefore, sand and rubber granule fillers should be included in the artificial turf. The rubber granule fillers facilitate player traction, while minimizing the risk of injury. Incorporating an elastic base layer under the turf helps to achieve these conditions, as well as improving the system’s durability. To guarantee sports function, a good artificial turf system will be resistant and highly durable over time due to UV protection. 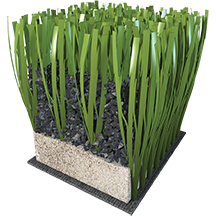 In addition, artificial turf with firm, upright blades will enhance resistance. Mondoturf played a key role in our success in 2009. 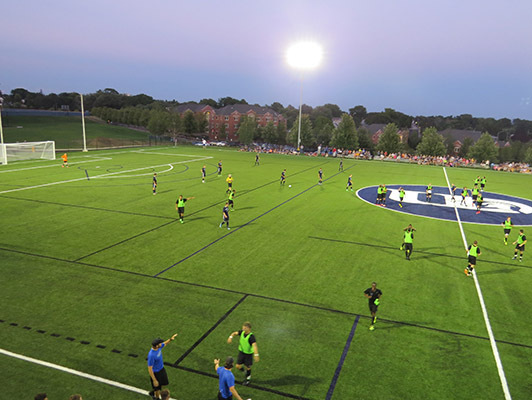 The number and seriousness of turf-related injuries has been significantly reduced, and our student-athletes’ muscles recover much more quickly than when they played on other surfaces. We also have better practices early in the week because our athletes’ legs stay fresher even after a full week of practice and a weekend game. 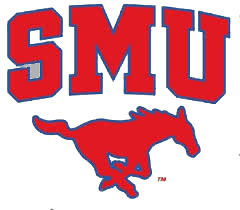 In addition, since we installed Mondoturf, our recruiting has improved. 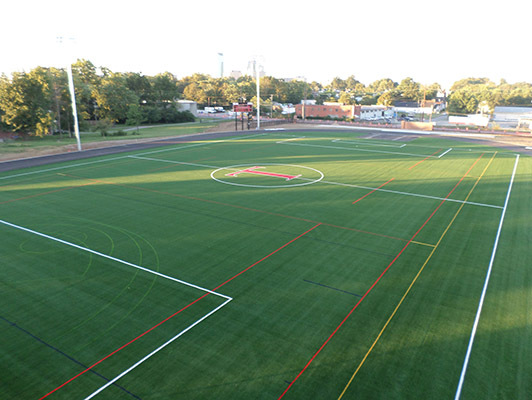 The overall beauty of the turf attracts a lot of attention from our prospects – much more than the natural grass surface we previously had. Our system relies on the speed of the players, and the technology behind the Mondoturf FTS system provides the stability that is necessary for that speed. 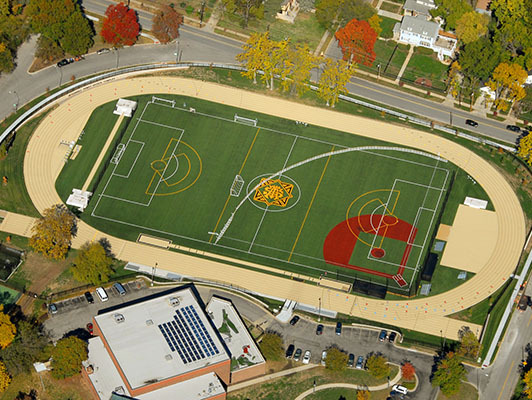 We also wanted a field with characteristics that were similar to natural grass while also significantly reducing the heat factor.